Tag Archive | "surface phone"
Windows’ mobile problem is well know. Apps. Will an alternative processor architecture help? It’s great to see ARM in the space, but it won’t fix the problem. There are two mobile-related Windows problems. The first is the close-down of the Lumia brand. It was the first big indicator that the Universal Windows Program wasn’t attracting the developer hours that were so badly needed. They were needed to bring Windows, and not just Windows Mobile, to a point where Win32 / desktop apps could be ignored in favour of mobile apps. Under UWP I would argue that apps are more user-friendly, cheaper to develop, more secure and more efficient. Ultimately there would have been a mobile-first scenario similar to that which we see on IOS and Android in the IoT, personal mobility, remote control and social network sectors but with the introduction of an ARM platform, fitting into the 6-inch to 12 inch space, that supports legacy desktop apps, it’s now 100% clear that UWP failed to achieve its goals quickly enough. Intel pulled the plug on the space and, laughably, Qualcomm is stepping in with a top-end processor platform that won’t do anything to help. Microsoft needs millions of mobile devices out there running Windows 10. What on earth are they thinking? While Windows 10, Snapdragon 830 and a Surface Phone could be a match made in heaven, it WILL NOT HELP. The cheapest way to build Windows 10 numbers in the mobile space would have been to subsidise the sale of Windows phones and tablets but with Intel and Lumia gone it seems Microsoft want to put a high-end mobile device in this vastly competitive and saturated space. A Surface Phone, a Surface Pad, a Surface UMPC isn’t going to help. A Snapdragon 835 will not result in low-cost phones and ‘multimode’ doesn’t sell. Snapdragon 835 is high-end. 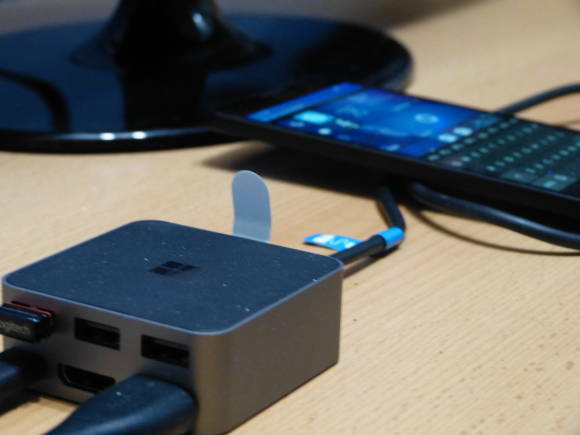 It is perfect for a Surface Phone at 6-inches that will lever integration skills and demonstrate, perfectly, the capabilities of Continuum and multimode dockable usage but expect that to be an $800 product. It will be as fast as a Core M and extremely interesting for ultra-mobile users. Tight integration will make a very smart-looking device but it will have to compete with the iPad Pro, iPhone, Pixel devices, Galaxy brand and a bunch of cheaper, but very good phablets. It will compete with some very good Intel-based Core M devices that can handle, without software emulation or binary translation, full HD videos editing, advanced photo editing, basic CAD and entry-level PC gaming. In short, it will end up being a desirable but niche and expensive product. The second problem is that ‘multimode’ doesn’t sell devices. We love them, as do the press but the Motorola Atrix (2011), Lumia 950 (2015) and other devices have proven that selling multimode is hard work. When was the last time you saw a mainstream user using Miracast and a Bluetooth keyboard and mouse? Established electronics manufacturers don’t like them either. No one is going to build a multimode phone that potentially trashes the profitable sectors of laptops, tablets, 2-in-1s and desktops. The only manufacturers that have space to do this are the startups. Microsoft have space too. Consider the Surface Pro 4 at $1000 and the Surface Book at $2000. A Surface Phone (Surface Pad at 6 inches) would fit in at $599-$899 and it could replace the old Atom based Surface products nicely. Would Microsoft be stepping on the toes of its partners by doing this? It would shock the hell out of them.